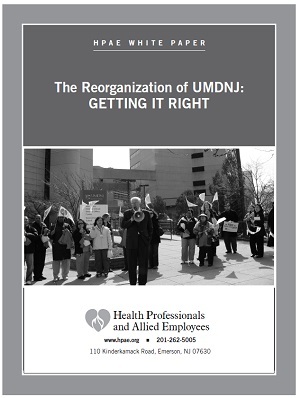 New Jersey.While we hope that restructuring will have a positive impact on the health, education and economic well-being of New Jerseyans, the implementation plan for protecting services, funding, medical research, staffing and workplace rights is still unclear, and lacking in public input. If instituted responsibly, with the involvement of key stakeholders, the recommendations outlined by the committee could protect vital healthcare services for our communities and strengthen medical education throughout the State. partnership, Barnabas is likely the ‘private partner’ the committee envisions. This resource is stored as a file on the server. Please click the button below to download.